When it comes to all things love and coffee, Fishers couple Alec and Jenny Tod go about it together. The different strengths and skill sets, which makes co-owning Indie Coffee Roasters a profitable venture. The Tods met through a mutual friend who attend Cincinnati Christian University, where Alec was attending school. The friend introduced the two, who quickly became friends. They began dating a year later and were married on March 10, 2012 — 1 1/2 years after they first dated. For Jenny, the courtship process was a little slower. Jenny said she realized Alec was was the one after he met her family. 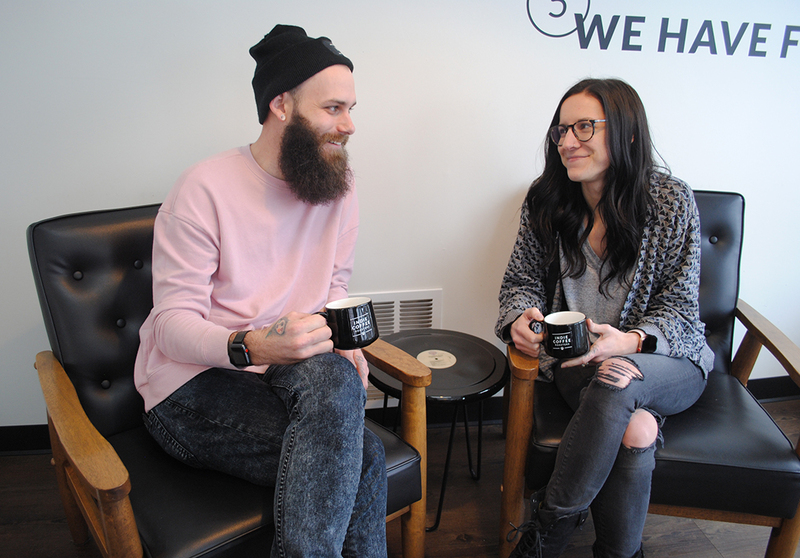 When it came to starting a business together, Jenny had experience with marketing and branding, and Alec has always had a passion for coffee. Indie Coffee Roasters began in 2013. The Tods roasted coffee and sold wholesale. They parntered with the other two co-owners, Diane and Kevin McAndrews, also a married couple, and last year opened the Carmel-based Indie Coffee Roasters brick-and-mortar store at 220 E. Main St. in Carmel. “The exciting part about owning a business with your spouse is you can grow something together as a family,” Alec said. The couple has a 14-month-old son, Roman Myles. Alec and Jenny Tod talk marriage, owning a business together. Find a healthy way to work together. “We schedule meetings, even between the two of us, that are more professional meetings, that this is the time we are going to talk about marketing and how it affects coffee, but don’t allow yourself to have a board meeting at dinner or all the time,” Alec said.